Readers, I've made a life-changing decision that I want to share with you. 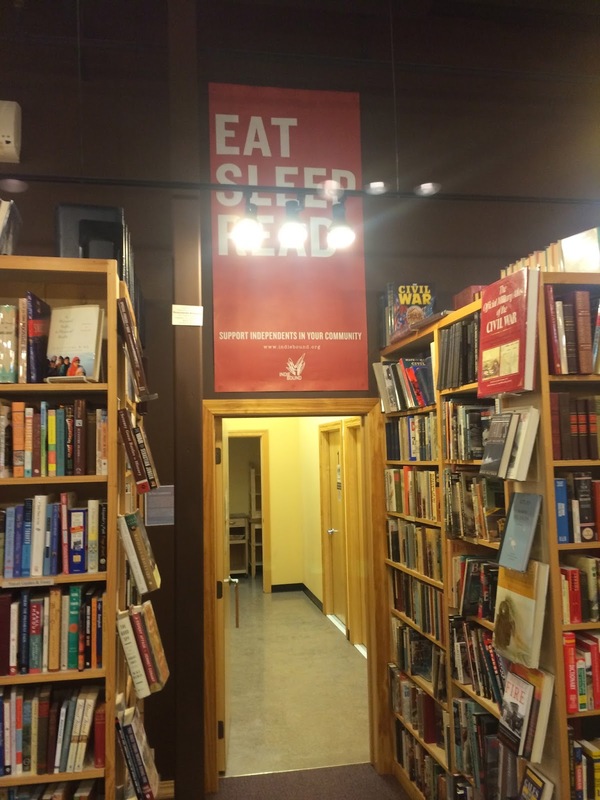 I'm going to form a new political party made up entirely of bookstore owners and booksellers. They will make the rules of the country, run the schools, and dish out punishment (e.g. sending poopie heads to a corner to read a recommended book). Why would I do this? If you've ever met any of these people they are some of the best you can ever hope to meet. They are beyond nice; intelligent, knowledgeable, and kind to a fault. You'll find another perfect example of the "species" at Scout & Morgan Books. 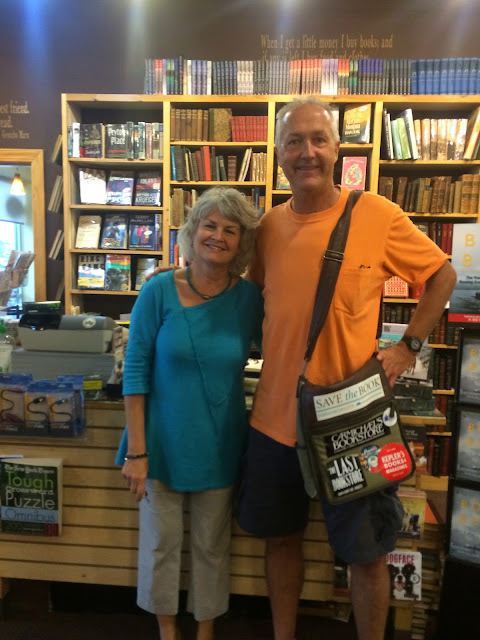 Judith K. is one of those owners you'll thoroughly enjoy meeting and talking to about books at this fine indie. Scout & Morgan Books has a great location with a very spacious parking lot. The store shares building space with a coffeeshop right next door that you can get to from inside the bookstore, a great arrangement. Next to the coffeeshop on the other side is a natural foods grocery co-op. I think three businesses like this work well together. The parking lot is large enough to host a weekly farmer's market which is a great way to get customers close to the store and hopefully check it out, one of the reasons I think this is such a super location. It hasn't always been this way though. 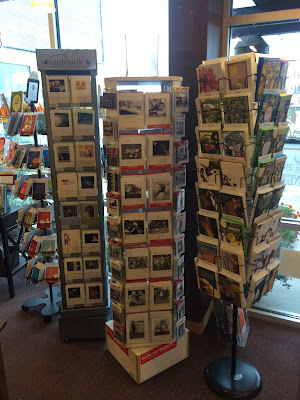 The store originated in a log cabin 13 years ago and was there for the first 5 years as Log Cabin Books. 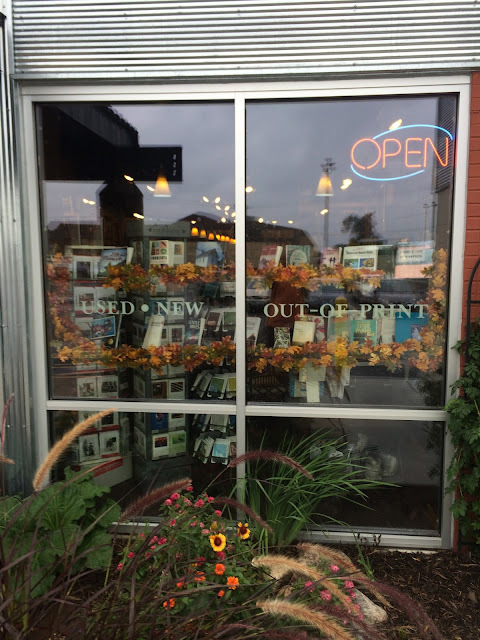 It soon outgrew that space and moved to its current location and was renamed Scout & Morgan Books, after two of Judith's rescue dogs. 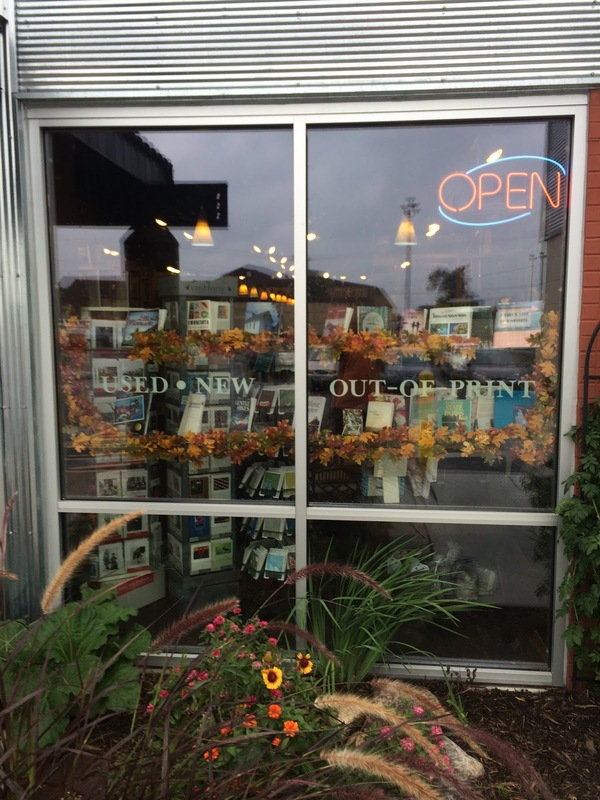 Back at Log Cabin Books, you could only get used books but now at Scout & Morgan you can get new and used. Customers can get cash or store credit for their used books with store credit always being the better deal. You can also find some collectables and out-of-print books. There are a few sidelines here but Judith is particular about what she offers due to store space. The store is also active with author events held on-site. I had a great chat with Judith during my visit and with her engaging personality it's easy to see why things are going so well. The customers come from Cambridge and the surrounding communities as well as a good mix of tourists and people who drive up from Minneapolis. Judith has seen a steady growth in business and like many other indie owners I meet, can feel a trend swinging back toward independent bookstores. The next time you vacation in the Twin Cities, at some point you'll want to escape the rat race and kick back. Take a short drive north and meet a terrific bookstore owner at another one of our country's finest. Go to an indie and buy a book. Bonsoir. JUST FINISHED: The Ice Harvest, Scott Phillips. A short, quick read. The protagonist spends the first half of the book in bars and strip clubs. The last half he starts killing people to cover up his embezzling. This book was decent and the ending was a real twist. CURRENTLY READING: My Real Children, Jo Walton. RECENTLY PURCHASED: Black Out, John Lawton. The Lighthouse Road, Peter Geye. A nice front window display, inside and out. 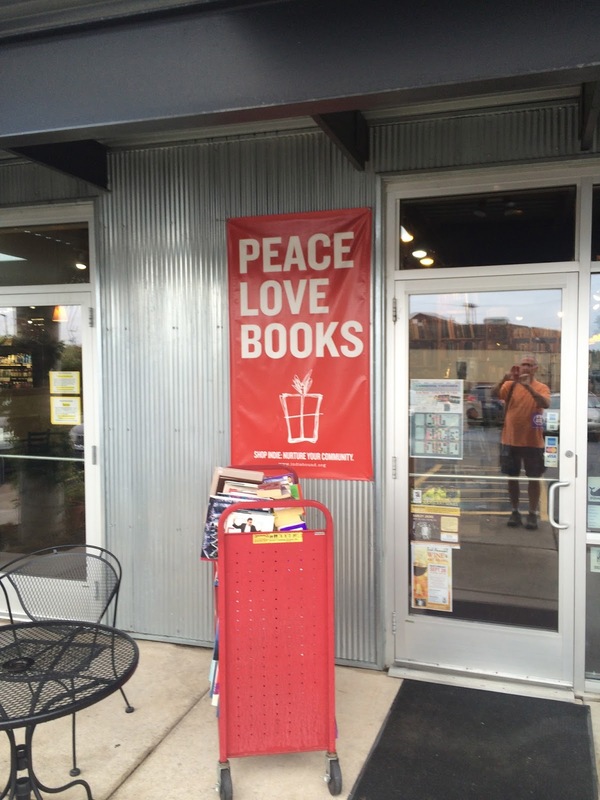 If you're in Minnesota and the weather is nice enough to offer books outside, take advantage! A great view of the store looking in from the front entrance. This picture is full of celebrities. The owner, Judith K., is on the left preparing to make a sale to the eremitic luminary on the right in the white sweatshirt. Yes, that's my mom. The store was named after two beloved dogs. This sign is a no-brainer! 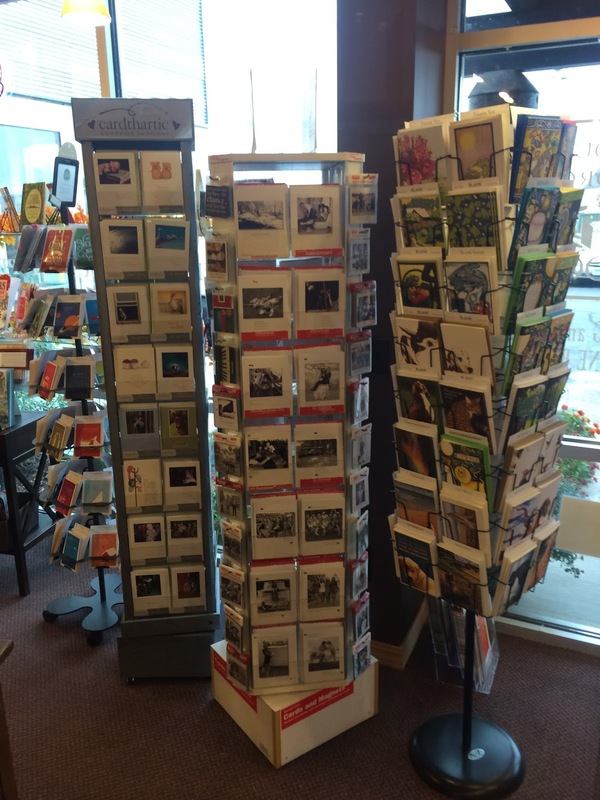 A few of the greeting cards offered here. Looking into the coffee shop that you can get to from inside the bookstore. Near the front of the store. A nice place to sit and take a book on a trial run! Adult coloring books can be found in almost any bookstore. All the booksellers tell me these are selling really well. I'll stick to books. Step through this door to find the bathrooms. Not available at Amazon. Great view from the back of the store looking toward the front. 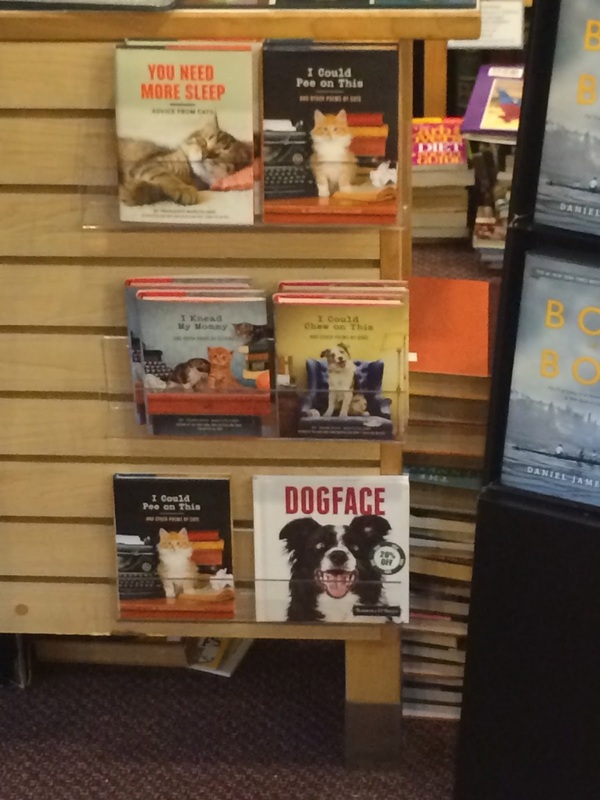 If you're a cat fan like my friend Duane V., you can find those books here. With Judith K., the fine owner at Scout & Morgan. Thanks for a great visit.